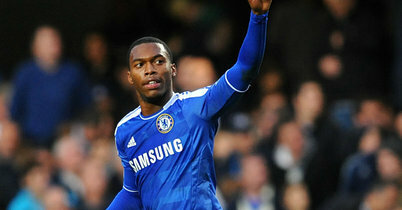 Daniel Sturridge believes his team-mates need to relax if they are to end their current slump in form. The Blues have dropped off the pace in the Premier League after losing three of their last five games. Sturridge has called on his team-mates to avoid negative thoughts and play their natural game if they are to find their top form again. "The most important thing is for us to go out there and play our natural game," he said. "When we worry about the anxieties and the stresses, worry about what the fans and the pundits are thinking, that is the one thing that can send the team into a downward spiral." Chelsea travel to Newcastle on Saturday needing a third away victory if they are to keep pace with the pack at the top. Leaders Manchester City are now 10 points ahead of them.